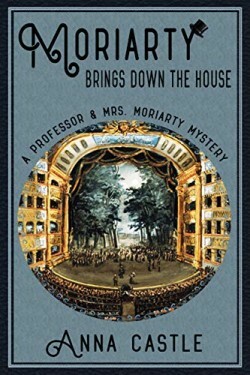 An old friend brings a strange problem to Professor and Mrs. Moriarty: either his theater is haunted or someone’s trying to ruin him. The pranks grow deadlier, claiming the first victim. Angelina digs up up old grudges while James follows the money. Someone sets Sherlock Holmes on their trail. Will they all make it to opening night in one piece?